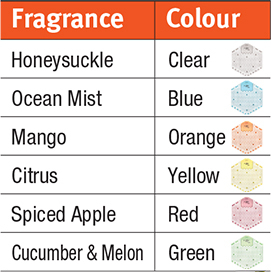 Air Freshening Just Got personal! 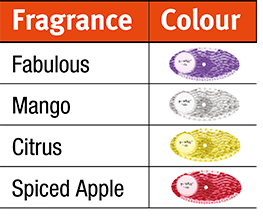 DRY FRAGRANCE TECHNOLOGY: Refills are liquid-free, leaving no residue. The P-Hold is an innovative, antibacterial door handle cover. Easily installed onto pull door handles, it simply “snaps” into place. The P-Plate is an innovative, antibacterial Push Plate that is fitted to doors using the fixings supplied. Both products kill 99.9% of bacteria* using silver ion technology to combat pathogens deposited onto the surface by users and then works continuously, 24/7. 30 day fragranced trough urinal deodoriser screen! P-Wave Trough Screen is the only answer to trough odour! Hang it from a variety of objects like a stall door stop, toilet handle, etc. Comes with suction cups for greater placement options. 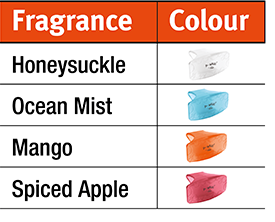 30 day urinal air freshener/deodoriser with 2 sides! P-Wave Hex 3D is the ultimate splash reducing screen combining the patented technology of a 30 day urinal air freshener/deodoriser with the new, more effective two sided design. P-Eco Air is another great idea from the P-wave range. 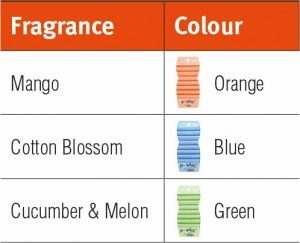 30 days highly fragranced urinal deodoriser screen! P-Wave Urinal Screen is the No.1 answer to loving your urinal! 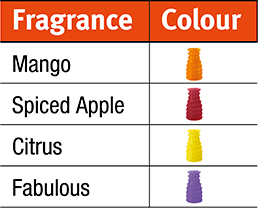 P-Wave Curve is the “almost anywhere” air freshener giving 50 times the fragrance and lasts for 30 days. 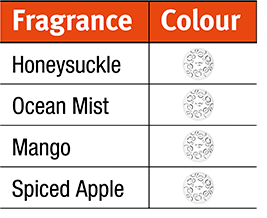 30 day fragranced toilet bowl air freshener! 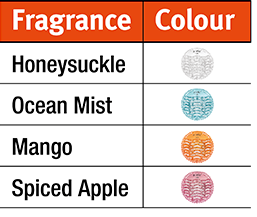 P-Wave Bowl Clip is the air freshener giving 40 times the fragrance and lasts for 30 days.